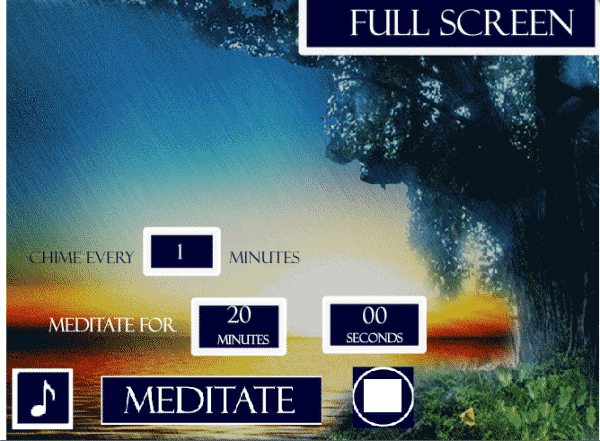 Our online meditation timer with chimes and intervals makes it easy to time your meditation practice. Presented with an attractive animation and scene, and with inspiring Buddha quotes and meditation quotes, you’ll find this the perfect accompaniment to your meditation practice. IMPORTANT: full screen option is not working properly at the moment. 2) Enter the time into the minutes and seconds box. 4) To change the chime interval just enter it in the box. 5) Hit the full screen button if you prefer the full screen experience. 6) We’ve included inspiring Buddha quotes and meditation quotes that are perfect for contemplation. To embed the timer in your own website, just use this code.